With Box KeySafe, you have complete, independent control over your encryption keys, with no impact to the user experience. "Box is great for keeping and sharing documents securely." I like that I can access box from my computer or my phone and easily share information with colleagues and team members. Each of us is able to access and make changes to the same folder at the same time, and it updates almost instantly. I dislike that it makes me change my password so often - but I guess I'm grateful for the security! Also, it is pretty easy to reset your password - they just send a link to your email. I think it's great, and meets our needs. Could meet yours too! We are able to house all our documents in one secure place that we can all access - this has streamlined meeting preparation. And we can take it anywhere, without having to carry a large amount of paper files. This is a great way to look for plagiarism because everyone who submits their work goes into one drive, where it looks over any duplication. It also is very fast, you can drag a file from your computer right into the box and it downloads quickly, along with displays the document you inserted. It works well with documents, like word or excel, but it can take a little longer to upload when it is a PDF and sometimes does not display it. Not as great as google drive regarding keeping documents in one place, but really easy for multiple users to put documents into. It helps keep everything is one space and also makes it easy to see who is taking other peoples ideas. What Encryption solution do you use? 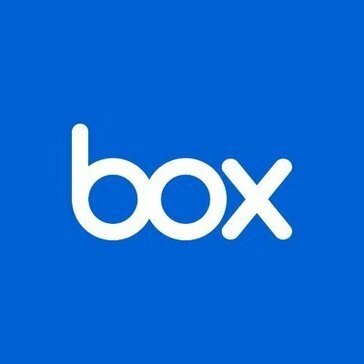 "Get organized with Boxy "
I can put all my files into one organized space and other team member are able to share their files and notes also without having to always email back and forth all the time. I wish the layout was a tad bit easier to understand. What I mean, is that there are a lot of tabs on the side and some could be joined together. When working in teams, or gathering all the information and notes used for meetings it allows me and my colleagues to submit notes and files and sync them to each other. "Solid control over data privacy"
Love the ability to have complete, independent control over your encryption keys. Usage is interchangeable and easy to navigate any records when questions are asked. Knowing my data is safe and I have access whenever is wonderful. I don't have any dislikes. Right now we are in a trial phase to ensure our counterparts overseas are able to make change when necessary without interference. Understand your needs and test during trial phase while you have the time. Have full control over data while in the cloud. The ability to have premier services work with me helps to uncover any areas I'm not fully maximizing. Again, being in the trial phase we are constantly probing areas and testing to ensure we can bring Box on as a permanent cloud safe. I love that multiple people with granted access can work on something cohesively in a separate working space. I dislike that it sends a confirmation email every single time someone does anything with any of the files, a bit overkill. This is a great tool for any organization that has several "hands in the pot" It 's very user friendly and is an easy way to communicate and share. My colleagues and I can all access the desired files needed in a shared space. "Easy way to manage encryption keys"
Not sure if the cost is worthy it. Although it is relatively cheap, we feel safe enough to store our info. We are trying to keep financial files safe and secured. It is a good way to store it to maintain files. Ease of shareable document links, easy file uploads, live syncing feature is great. It's a good system for uploading and sharing files securely. I enjoy the search feature (navigation is very intuitive). I like that you can see the last editor and time/date of edit. The Box network lags/slow at times. Sometimes syncing is offline so shareable links break. The search feature is great, but could be better. I found Box to be very user friendly. It is a great way for collaborators to interact and share ideas and content in a safe environment. It has some drawbacks in that it can be difficult to integrate into a company that’s already using comparable software. A way to safely and securely store items, ideas, and company information. "Besides limited compatibility options, works great and is user friendly"
Just like Box.com's standard UI for uploading files, KeySafe is up to par on user-friendliness and simplicity. Needs more software compatibility; options are still limited. We store our passwords and license keys for the entire office onto KeySafe, trusting in their encryption. Since we use Box already, it was a seamless transition for us. "Extremely easy way to incorporate advanced security "
It is easy to use and integrated well with the Box platform, thus making the experience seamless. Can be frustrating or tedious at times, but that is common with any added security. Security and peace of mind. Safer to store documents in the cloud. * We monitor all Box KeySafe reviews to prevent fraudulent reviews and keep review quality high. We do not post reviews by company employees or direct competitors. Validated reviews require the user to submit a screenshot of the product containing their user ID, in order to verify a user is an actual user of the product. Hi there! Are you looking to implement a solution like Box KeySafe?